After catching a movie today, hubby and I randomly walked into Pu Tien @ Tampines Mall for lunch today. No reservations, no expectations, nothing. I've been a little shellfish crazy these days so I tried ordering bamboo clams. Unfortunately, they were not in season. Thankfully, there was chili lala (or mussels). Not as piquant as the ones at hawker centres but satisfying nonetheless. Better yet, I surprised myself by ordering a hairy crab (thinking to myself...what the hell..there's always a first time). Sensing my apprehension, a very nice elderly waitress patiently ripped apart the crustacean for me and even arranged it nicely on a plate. Thank you auntie! People always say the best part of a hairy crab is its roe. I couldn't agree more. The roe tastes like a cheesier version of uni-creamy, rich and finger licking good. Ditch the tiny morsels of meat and go straight for the roe! Other less exciting dishes ordered were battered eggplant with pork floss, sweet and sour pork with lychee...and of course, Pu Tien's very famous Hing Hwa fried bee hoon. I almost forgot how good the beehoon was. In fact, I liked it so much I forgot to take a picture of it. The strands of beehoon were so light and airy that they almost melted in my mouth. You've got to try it to believe it. Our unexpectedly indulgent lunch set me poorer by 93 bucks (the crab alone cost SGD38 but came with complimentary dessert). Nonetheless, given the novelty of the experience, I guess it helps soothe the sting somewhat. I've been a loyal subscriber of the Feed at Raffles card for donkey years. When I initially took up membership, it seemed like a dream come true- 50% off the bill (for a table of 2 diners) at various fine restaurants like Bar and Billard Room, Plaza Market Cafe, Inagiku, Pregos and Ellenborough Market Cafe. Unfortunately, 5 years, 10 kilos and hundreds of discounted meals later, the novelty seems to have died off. Prices have progressively increased at most of the restaurants and some dining discounts have been significantly reduced (e.g at Plaza Market Cafe, you no longer enjoy 50% off for 2 diners). The food selection and quality also seem to have somewhat deteriorated in restaurants like Bar and Billard Room. 1) The White Card. Quite pricey at SGD535 per annum. However there is a current tie up with UOB where you can enjoy the card and accompanying privileges for an annual fee of SGD180. A discount structure similar to the Feed at Raffles Card applies. i.e. 50% food discount for 2 diners, 33% discount for 3 pax and 25% for 4. Restaurants covered are mid to upper tier (includes places like Cafe Iguana, Wild Rocket, Man Fu Yuan, Il Lido and Ko). 2) The iWish Card. Reasonably priced at SG98 per annum and fully transferable. Proceeds will be used to further charitable causes (e.g. job creation for the physically challenged). Most of the discounts offered are only applicable for weekday lunches. Participating restaurants include The Rice Table at International Building (1 for 1 set lunch and set dinner), Original Sin and Michelangelo's at Holland Village (1 for 1 weekday set lunch) and Zambuca at Pan Pacific (1 for 1 weekday set lunch). Participating restaurants are Chatterbox, Lobby Bar, Observation Lounge, Pine Court Triple Three (Meritus Mandarin @ Orchard), AquaMarine, Atrium Lounge, Peach Blossoms, Pool Garden, Restaurant Bologna (Marine Mandarin), Horizon and Cascade Pool Bar, Niyom Thai Restaurant, Pelangi Lounge, Spice Market Restaurant, Tepang Cenang Beach Bar, The Boat House BBQ Restaurant and Pub (Meritus Pelangi). On top of dining discounts, a host of other discounts ranging from a discounted weekend hotel stay (SGD120 nett inclusve of breakfast for 2) apply. My advice- its a win-win situation- there's nothing to lose! Quickly grab the card before the offer expires on 31Dec09. After 1 year, if you find the card useless, cancel it! 4) Bakerzin Membership Card. Bakerzin is the next best thing to home cooked food on weekday evenings where we are too lazy to think of what to eat. The food is reasonably priced with a wholesome selection of western and asian favorites. 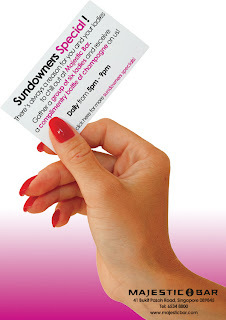 At SGD20, this card entitles you to 10% off all meals (20% on your birthday month). You also get a whole stash of welcome treats valued at over SGD60. (these include a box of 6 assorted macrons, a free dessert, tea, soup of the day as well as a free snack). What's there not to like about Bakerzin? 5) The Hyatt Membership Card. Benefits include a dining card with a discount structure similar to the Raffles Card at all participating restaurants in Hyatt (e.g. Pete's Place, Straits Kitchen, Mezza9), free carpark coupons valued at SGD72 and a SGD120 dining voucher. From now till 31Dec09, sign up for this card at a discounted rate of SGD348 (usual price SGD408). Prices exclude GST. On cold rainy days like these, its always nice to cuddle up at home and treat yourself to a steaming bowl of stew. My previous attempts at making stew have not been very successful. I tried making Nonya Tau Yew Bak a couple of months back but failed miserably (apparently, the stew was not left to simmer long enough, resulting in tough strands of meat and bland tasting tau kwa). H, on the other hand is a culinary maestro. She never fails to inspire. I am a huge fan of her rocky road brownies. When H heard of my failed stew attempt, she generously shared her own favorite stew recipe with me. I tried it last weekend and am happy to report that it tastes delicious! Heat butter and fry onions under high heat. When onions turn transluscent, add meat, ground nutmeg and herbs, stirring to prevent sticking to pot. When meat browns, adjust to medium heat, add tomato paste and tomatoes and stir for 2 minutes. Transfer to a pot. Add red wine, bay leaves and mustard. Stir well for 2 minutes. Then add water and balsamic vinegar. Upon boiling, turn down to small fire. Add salt, sugar, carrots, celery and 2 potatoes and stew for 2 hours. Thereafter, throw in the remaining potato and stew for a further 1 hour. Leave to cool and put in fridge overnight (stew always tastes better when left overnight). Serve with toasted pita bread the following day. Infamous French prankster Remi Gaillard shows us who the REAL Batman is! I'm glad some bigwig has decided to convert Maxwell Chambers into what it is today. The ground level is now lined with promising food outlets, all waiting to be slowly explored and savored. One such gem is dessert haven Once Upon a Milk Shake". Everything about the shop squeals cutesy. The owner(s) must have pretty big plans for the shop. Check out the pretty milkshake containers (which come in mini and regular sizes). Even the serviettes are embossed with the restaurant's logo! My only grouse? The seats are boxy, low and rather uncomfortable. Pricing also seems a little too steep for my liking- I paid abt 3 bucks for a mini (really mini!) 210ml cookies and cream milkshake which was gone in under 4 slurps. Nonetheless, it is evident that the shop uses quality ingredients for all its products. The vanilla ice cream used in my milkshake was studded with pretty little vanilla bean speckles and was sufficiently rich and smooth. Given the dearth of good ice cream hangouts in the CBD area, this is one place I will definitely be returning to every time I need a quick ice cream fix after lunch. 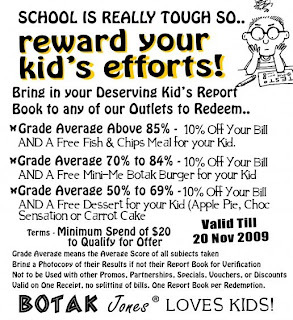 As if streaming in schools wasn't bad enough, Botak Jones has now come up with a promotion to reward kids for their academic efforts using a similar method. I'm so glad I've already graduated from school. Imagine how demoralising it must feel to only qualify for a free dessert when the smarter kids in neighbouring tables have earned themselves a fish and chips. Its tough being a kid these days. I always thought Astons was a sham...how does one get by charging less than 20 bucks for a decent steak? Thankfully, this is one instance where I am happy to be proven wrong. After what must have been a hundred procrastinations, I finally found the opportunity to visit the restaurant on a late Sunday evening without having to brave the infamous queue. The restaurant's ambience is a cross between Burger King and Swensens, with practical booth seating and color tinted hanging lights. Perfect for casual family dinners. There were hints of weariness on the young servers' faces and the floor felt a little grimy. Perhaps it was coming to closing time. I guess you can't expect tip top service/ambience when you are not paying top dollar. Drinks are relatively cheap. I couldn't finish my mug of root beer (SGD1.80) but hubby happily gulped down 2 glasses of orange juice (SGD1.80 each). For mains, we ordered grilled fish with herbs and the New York Strip. My fish dish tasted exactly how it looked- simply grilled and generously coated with herbs.and an asparagus cream sauce. At SGD7.20 a portion, you only get one small piece of fillet- so you will have to heavily rely on the sides to fill you up. Not recommended for big hungry men. I thoroughly enjoyed my 2 sides of mashed potatoes and onion rings, The mashed potatoes were out of the world, with just the right amount of fluffiness, buttery goodness and brown gravy. Less exceptional but equally satisfying were the onion rings, which boasted sufficient crunch. Hubby's New York Strip (SGD14.90) came perfectly grilled (medium rare). The accompanying mushroom sauce looked suspiciously like an enhanced version of the brown sauce used to douse the mashed potatoes. Nonetheless, it complemented the meat nicely. We are secretly proud that despite its local origins, Astons has managed to hold its own in a market saturated with established angmoh steak joints. Whilst its no frills dining concept is evident in some areas, the restaurant more than makes up for it through its good value food offerings. Hubby is already planning a return visit to try their promotional wagyu steak. Let's face it. We Singaporeans aren't very happy people. Just check out the stoid expressions on people's faces when they make their way to work (esp on Monday mornings). Guess the rat race can get rather stifling at times. Thankfully, there are other places around the world where every other day of the week could just as well be coined Happy Day. South Korean granny passes driving test after 950 tries! Hallo! Do you like champagne (or the idea of drinking champagne) but are deterred by the expensive price tag? 1. 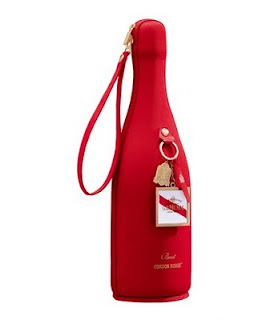 Try your luck at winning some really good champagne from G.H.Mumm. Instructions: Pen down your ideal home party concept in no more than 150 words and stand a chance to win your home style party pack! They've been at it for as long as I can remember...from pre-renovation East Coast Lagoon days up till present. You've just gotta salute em for their dedication- these wanton women. I've loved wantons since young. Smooth, silky and dripping with gravy goodness. I swear I could just eat wantons from this shop and leave one happy customer. The secret's gotta lie in the chili, which bears hints of dried shrimp and crunchy salted fish. One bite and you will be instantly hooked. Word of warning though- this chili can pack quite a punch so do keep some cold drinks at bay! Normal people would however make a beeline for the shop's famous barbeque pork noodles. The thin yellow noodles are doused with the same signature chili sauce- with a few slices of char siew and wantons thrown in for good measure. The noodles taste good regardless of whether they are eaten piping hot or soggy and stone cold. At only SGD3 per serving, this dish bears testament to the fact that sometimes, the best things in life do not have to cost an arm and leg. If you like taking pictures, this contest may just be the one for you. Organised by Sushi Tei, all you have to do is to submit your best creative shot capturing a special moment experienced at any Sushi Tei outlet demonstrating why it is the special place for fun filled moments with your friends, family or loved ones. Instructions for submission: Each photo is to be accompanied by a tagline of no more than 20 words telling a story, reflecting the atmosphere of the moment, the purpose of the gathering or simply what Sushi Tei means to you. (A very lame) caption: I don't know what you do but you do it well- I'm under your spell. Send entries to: sharedmoments@sushitei.com with subject heading "Shared Moments at Sushi Tei photo competition" with your name, ic no, contact details and mailing address. Prizes are attractive. First prize is a SGD500 sushi tei voucher, a fujifilm camera and a 1 yr magazine subscription. In addition, there are 5 consolation prizes comprising of SGD200 sushi tei vouchers and a 1 yr magazine subscription. Tequila Blue is the kind of restaurant/pub which exudes an unexplainable homely charm. Mexican food ain't really my cup of tea but there are certain items in the menu which taste so good that I wouldn't mind coming back for seconds, thirds and more. Starters (SGD4.50). Nachos with chilled guacamole dip. Crisp and refreshing. Chicken chimichanga (SGD13.95). Battered Mexican-style spring rolls stuffed with chicken, gooey cheese and mixed peppers. Topped with tomato salsa, guacamole, sour cream, green chilli and all things nice. The accompanying sides of black beans and rice were hearty and delicious. Chilli Colorado (SGD14.50). We mistakenly expected the dish to resemble chili con carne. What we got instead was a shredded chili beef stew seeped in a tomato reduction. The beef tasted pretty good on its own but was probably meant to be eaten with the accompanying sides of nachos and rice. Apple Mojito (SGD10): A mix of rum, apple soda and lime. Decent but not mindblowing. I should have opted for a magarita instead. On top of the ala carte menu, the restaurant also offers BBQ favorites like steaks, burgers, sausages and wagyu burgers on Fri and Sat from 630-1030pm and Sundays from 1230-630pm. Prices are pocket friendly and start from SGD8.95 onwards. On Sundays, patrons can even enjoy a complimentary glass of Bucks Fizz. It must have been my unlucky day because 1) there is an ongoing Standard Chartered credit card promotion (offering a whopping 25% discount off all food items) and I forgot to bring my card and 2) I would have so loved to attend the Halloween Party (which was barely 2 hours away). I also like the fact that the restaurant closes at midnight. That gives me ample time to make my way there after a long day at work. Bakerzin macarons are going at SGD1 (SGD1.05 to be exact after factoring GST) each for the month of Nov! A must watch for foodies, Julie & Julia is a movie chronicling the culinary exploits of food legend Julia Child and Julia Child-wannabe Julie Powell. Throughout the movie, Meryl Streep (who stars as the burlesque Julia Child) and Amy Adams (who stars as urbanite Julie Powell) play with animal parts, recite recipes and cook up a feast. 3. Learn how to perfectly poach an egg. 4. Wear pearls while cooking.